Lok Sabha Elections 2019 campaigns: With Lok Sabha elections only two months away, all political parties across India are addressing rallies and public meetings in order to woo voters and lift the confidence of party workers. Bharatiya Janata Party (BJP) President Amit Shah addressed a public meeting at Kulia in Odisha's Cuttack district on Tuesday. Slamming the ruling Biju Janata Dal (BJD), Shah said Odisha remains backwards despite the flow of huge funds from the Centre due to "inefficiency" and "inaction" on the part of the Naveen Patnaik government. Shah also said that the BJP would retain power at the Centre because the Narendra Modi government has sincerely worked for the welfare and development of the poor and people belonging to Scheduled Tribes and Scheduled Castes. General elections and state Assembly polls in Odisha are expected to coincide this year. Later in the day, Congress President Rahul Gandhi addressed party workers in Kochi, Kerala. 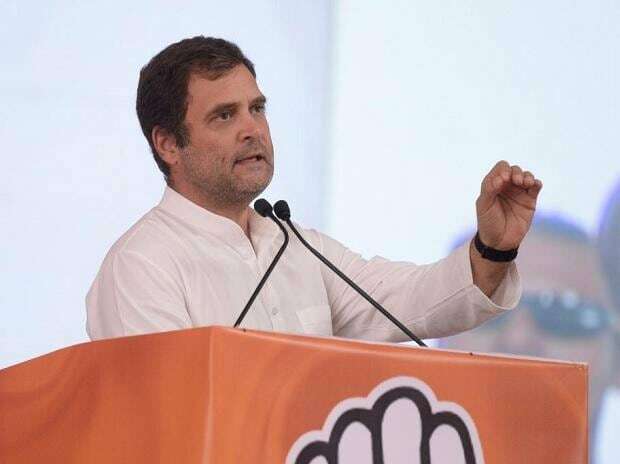 Gandhi said that he had committed that in 2019, the Congress would form a government that would make up for all the crimes that the Modi government has perpetrated against farmers over the past five years. Further, he said that the Congress government would guarantee minimum income to every poor Indian.